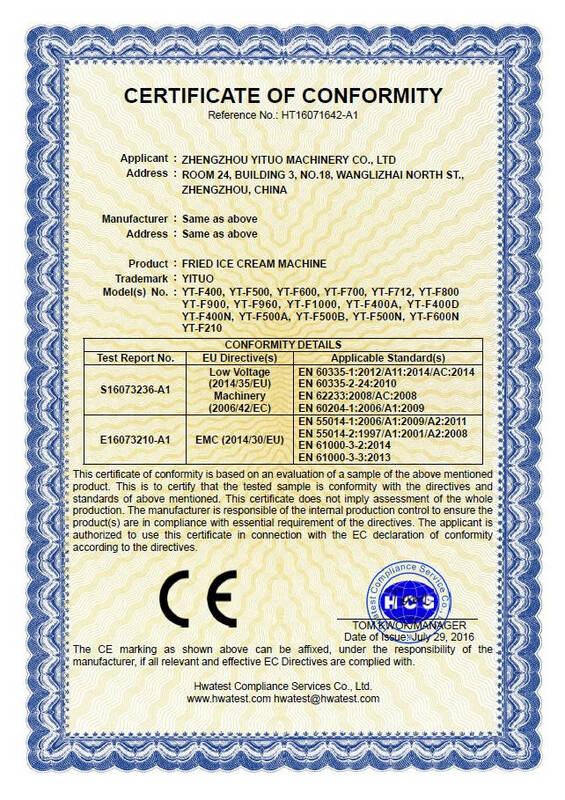 Company Overview - Zhengzhou Yituo Machinery Co., Ltd.
4YRSZhengzhou Yituo Machinery Co., Ltd.
Yituo is a professional manufacturer of fried ice cream machine,popsicle machine,soft ice cream machine,hard ice cream machine,fruit ice cream machine as well as food cart/truck. We have professional production team and sales team. 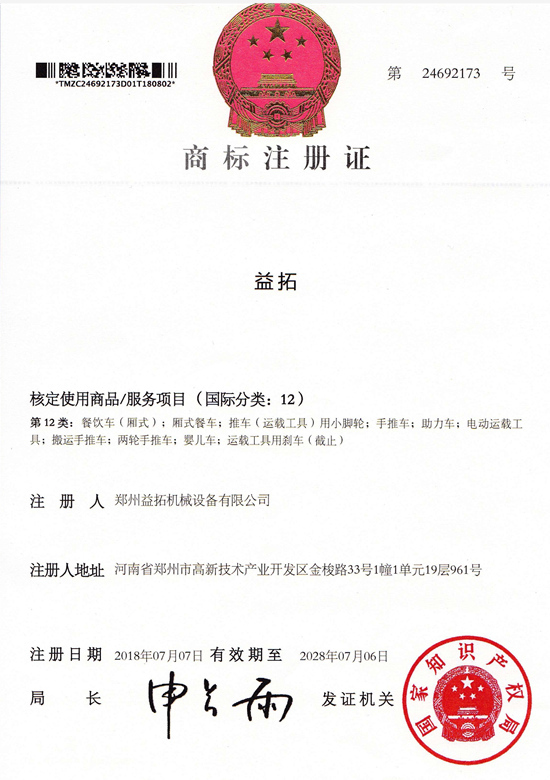 Our products have been exported all over the world.We have passed ISO quality management system and all our main products are CE approved. In addition, we have well-trained technicians who are also ready to help with you in the Research & Development department, Quality Assurance and after-sales service. 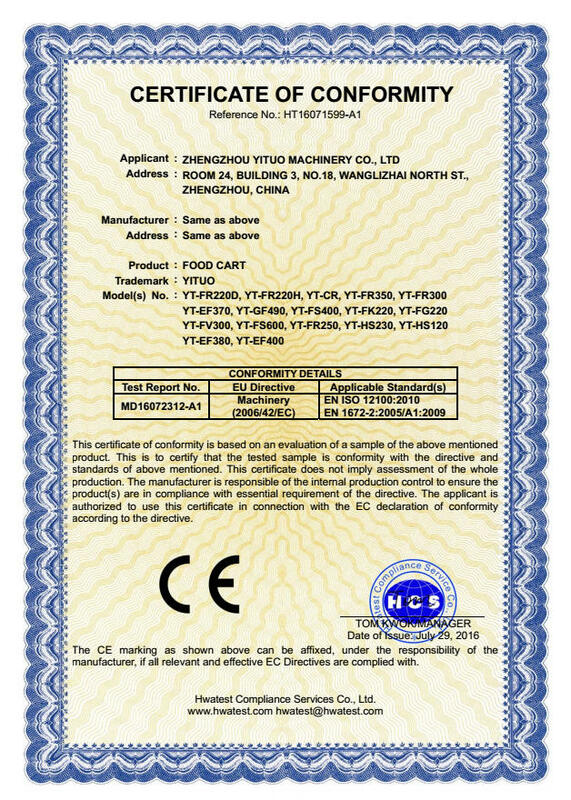 We can customize all new refrigeration products and food cart practically according to any peculiar requests, styles, specifications, colors, functions of our customers. We have an experienced after-sales team, which will reply your questions quickly and we offer lifelong after-sales services. Our Sales team are young but experienced,full of passion,we welcome both old and new customers globally to contact us for future business relationships and mutual satisfaction and success.